Brownsville faithful receive Holy Communion from Bishop Daniel E. Flores on Ash Wednesday during mass at UTRGV in Brownsville. 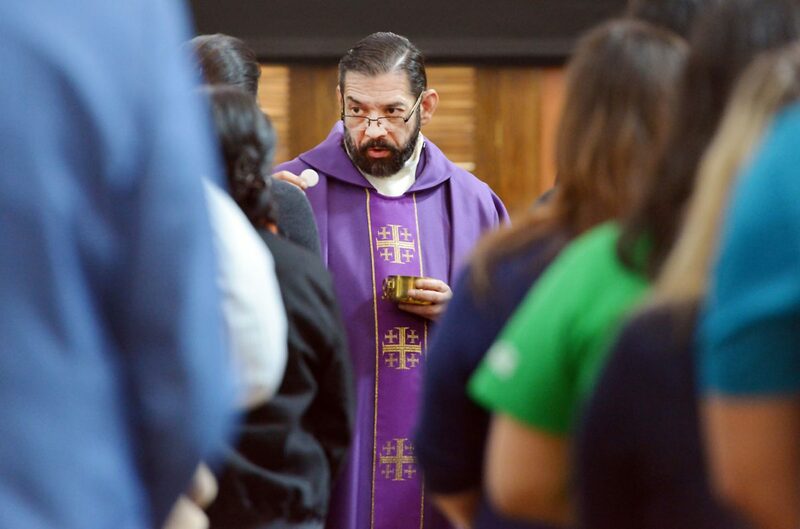 Bishop Daniel Flores of the Roman Catholic Diocese of Brownsville boiled the meaning of Lent down to three central ideas aimed at helping people reconnect with each other in an Ash Wednesday Mass at the University of Texas Rio Grande Valley. 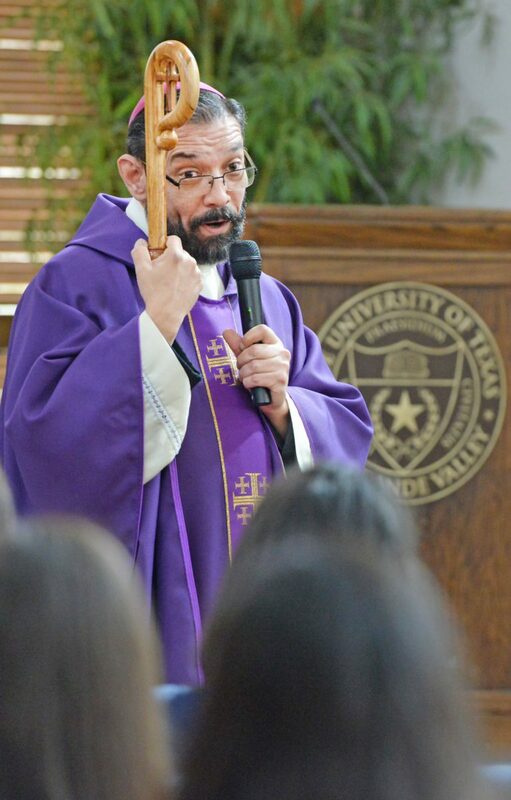 Flores celebrated the Mass in El Gran Salon on the second floor of the student union at UTRGV’s Brownsville campus before an audience of perhaps 60. Campus Catholic Ministries organized the event. 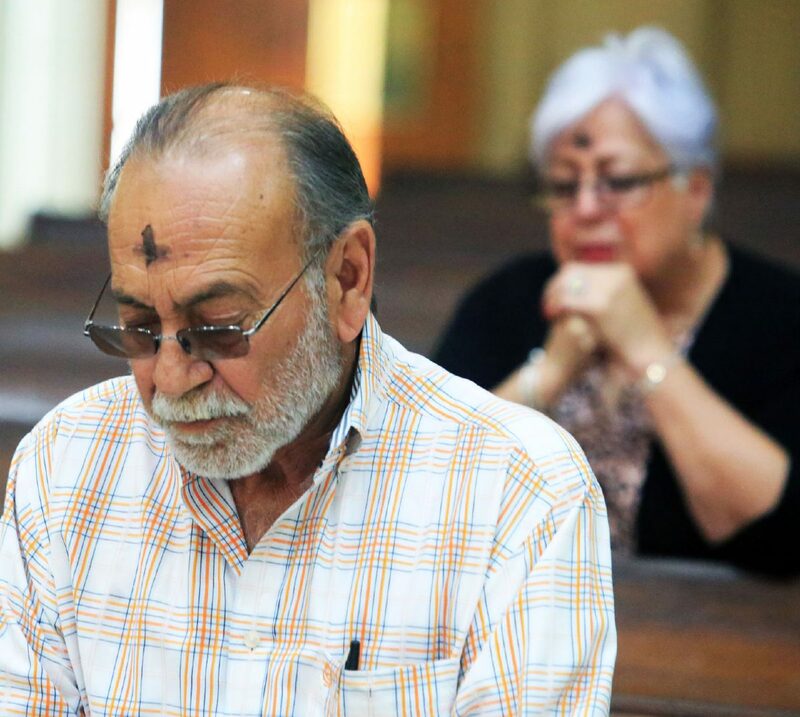 Catholic and other Christian churches observe Lent during the 40 days preceding Easter by fasting, praying and alms giving. Ash Wednesday marks the holiday’s beginning. Traditionally, believers will fast by giving up something for Lent, but there is more to it than that, Flores said. Bishop Daniel E. Flores blesses ashes during an Ash Wednesday mass at PlainsCapital Bank El Gran Salón inside Student Union at The University of Texas Rio Grande Valley in Brownsville. Ash Wednesday signifies the start of Lent in preparation for Easter. 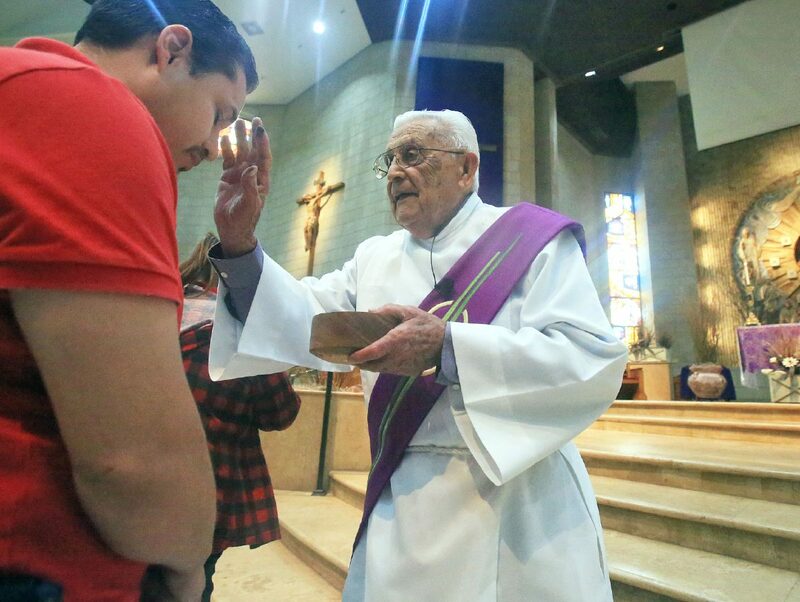 Catholic Deacon Julio Castañeja places ashes on the forehead of a worshipper as they observe Ash Wednesday during a service at the Basilica of the National Shrine of Our Lady of San Juan del Valle Wednesday, Feb. 14, 2018, in San Juan. 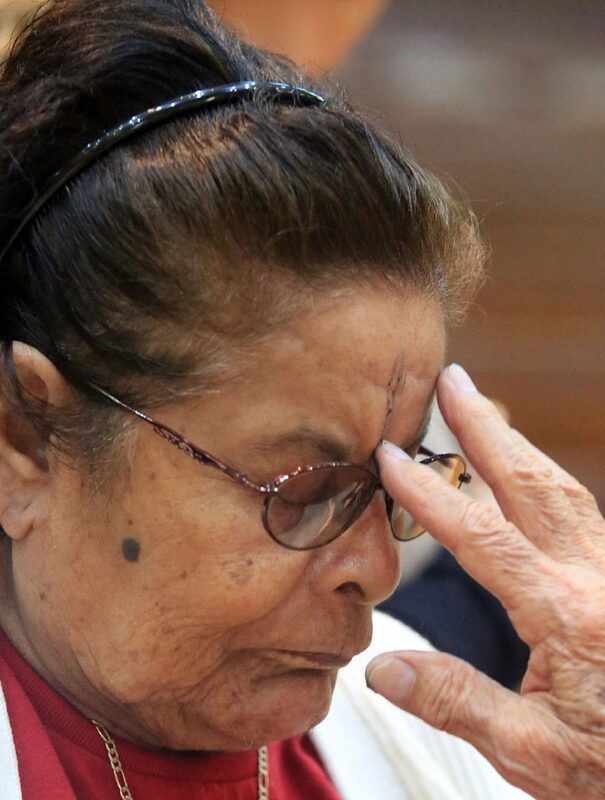 Worshipper Consuelo Reyes receives the ashes during an Ash Wednesday service at the Basilica of the National Shrine of Our Lady of San Juan del Valle Wednesday Feb. 14, 2018, in San Juan. Worshoppers pray during an Ash Wednesday service at the Basilica of the National Shrine of Our Lady of San Juan del Valle Wednesday Feb. 14, 2018, in San Juan. 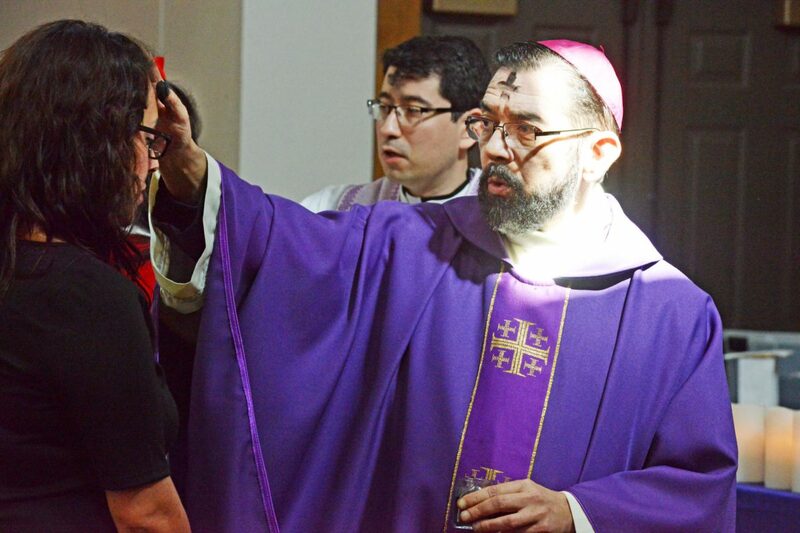 Bishop Daniel E. Flores presides to Catholic faithful during an Ash Wednesday mass at PlainsCapital Bank El Gran Salón inside Student Union at The University of Texas Rio Grande Valley in Brownsville. Ash Wednesday signifies the start of Lent in preparation for Easter. Sunlight shines through a window onto Bishop Daniel E. Flores inside PlainsCapital Bank El Gran Salón at UTRGV in Brownsville during Ash Wednesday mass. 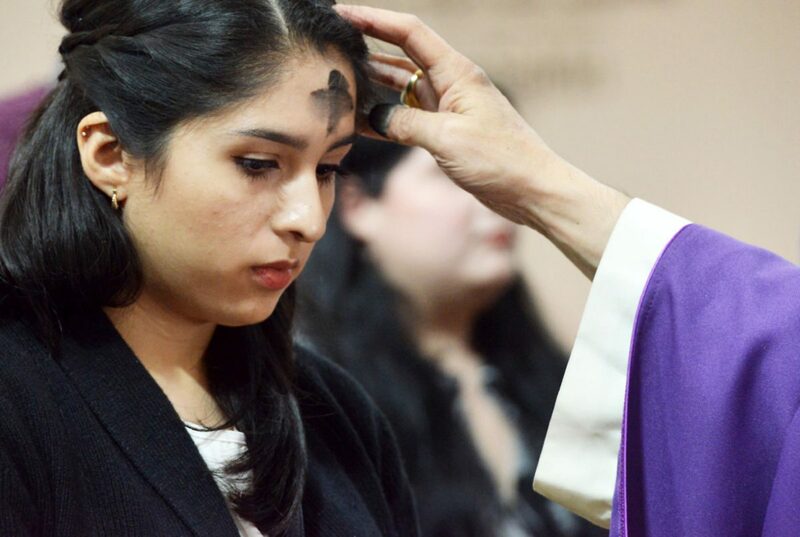 Bishop Daniel E. Flores blesses many Catholic faithful with ashes during an Ash Wednesday mass at PlainsCapital Bank El Gran Salón inside Student Union at The University of Texas Rio Grande Valley in Brownsville. Ash Wednesday signifies the start of Lent in preparation for Easter. 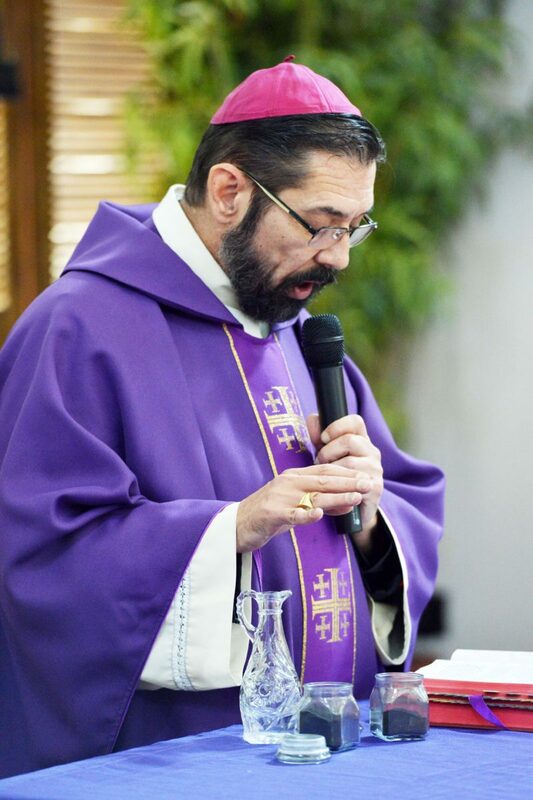 “Lent is not about proving how strong we are” in the sense of being able to resist temptations,” Flores said. Rather it is about “recognizing how interconnected we are, because not seeing the needs of our neighbor rubs against the Christian grain. Mercy is being able to respond to the needs of the person standing next to you, alms giving “is a way of recognizing that what I have is not just for me,” while fasting recognizes the fact that “no creature save the human being ever said ‘I’m not going to eat that even though I’m hungry,’” Flores said.